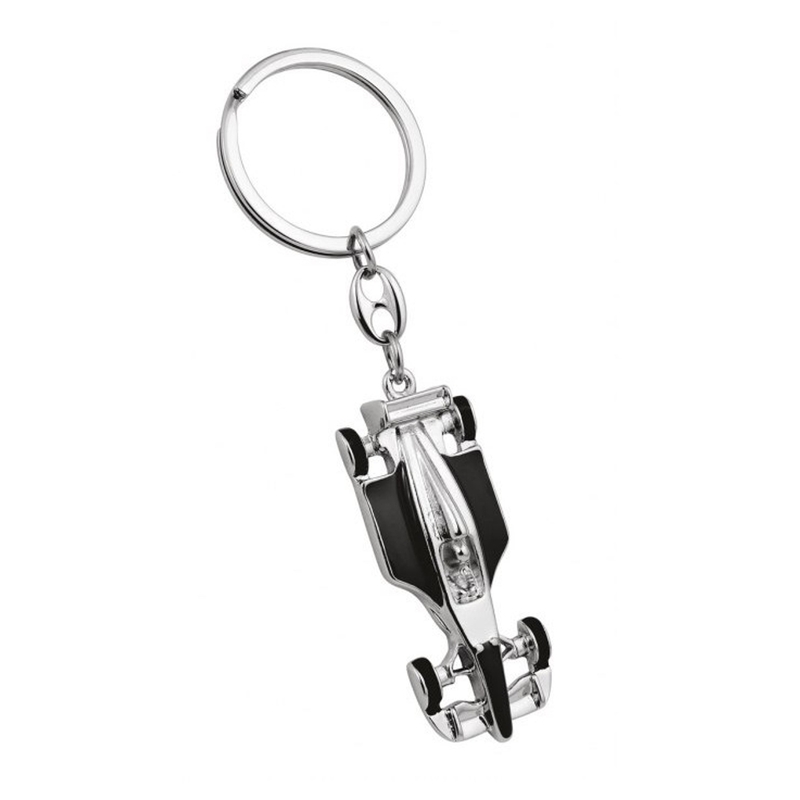 Personalised Engraved Stainless Steel Formula 1 Racing Car Keyring. The engraving area is limited, you can fit 3 lines of text, 9-10 words maximum. 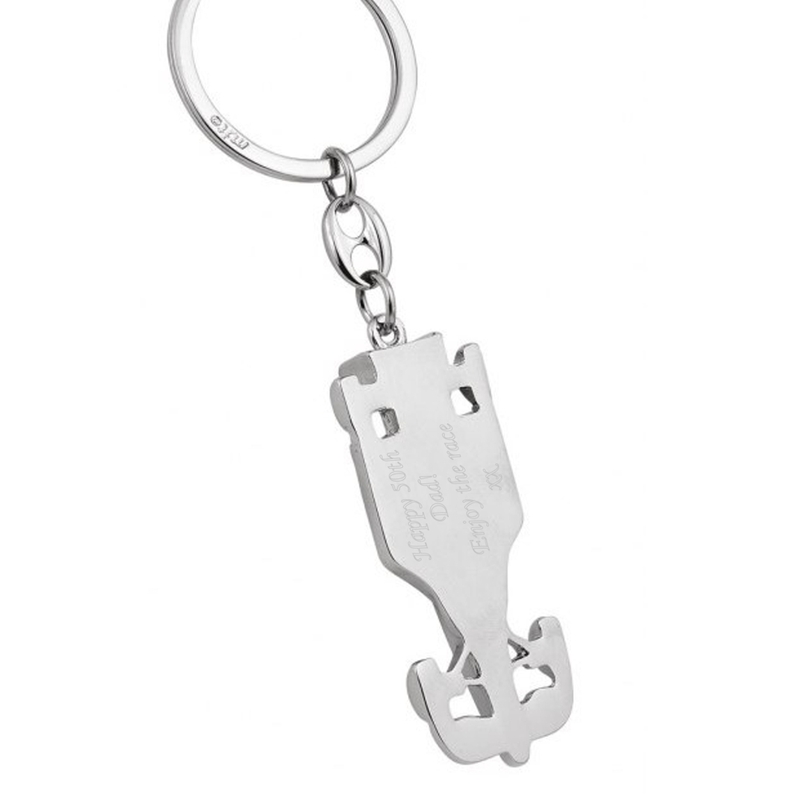 All your engraving goes on the reverse of the keyring. This unique gift measures 115 x 35 x 10 mm. Length includes the keychain.